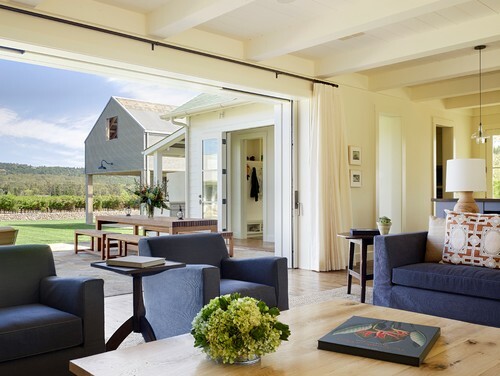 The St. Helena Residence, which was designed by Jennifer Robin Interiors, is one of the most interesting homes you’ll ever tour. 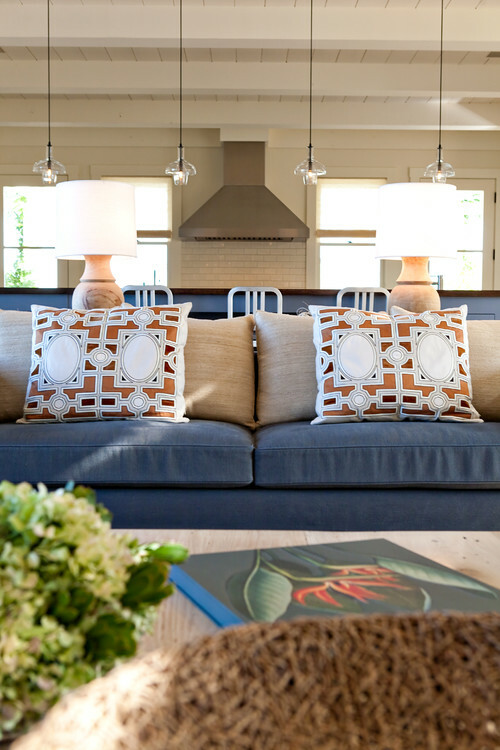 The place combines colorful styles and vibrant patterns to create a space that is busy yet maintains the comfortable, relaxed atmosphere of a traditional farmhouse. With an open layout that gives the home an airy, light appearance, the place has a level of sophistication and modern style that few homes can offer. 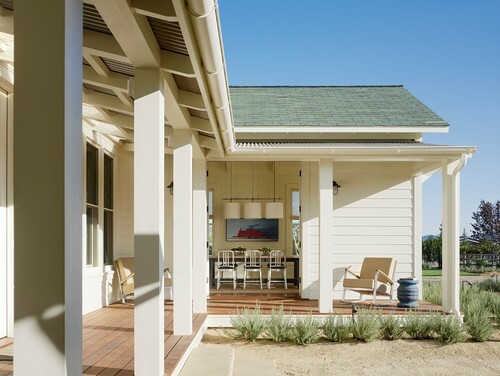 With classic furniture, a large porch and wood flooring, the home maintains the look and feel of a rustic country home. Light and comfortable, this is the modern place for anyone with high expectations for design. Let’s take a look. 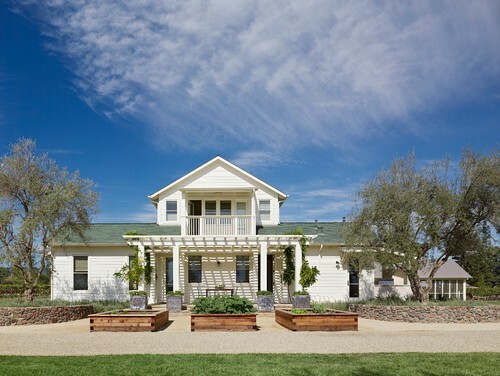 The exterior is simple and well-arranged. 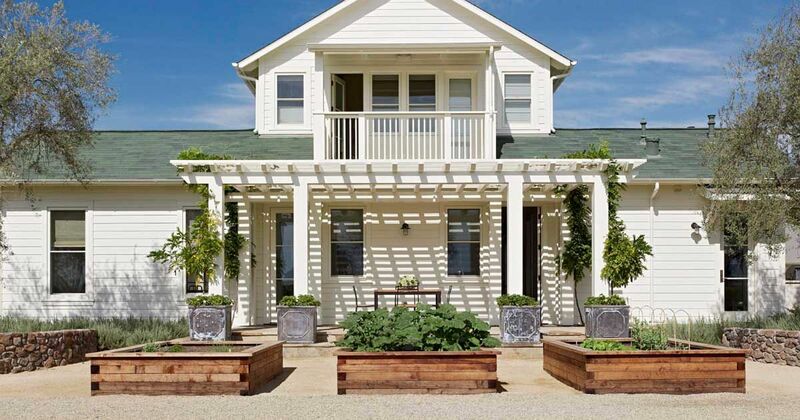 The porch area, which is covered by a decorative pergola, helps anyone enjoy the outdoor breeze. Just inside, guests are greeted by an elegantly decorated living room. The reddish-brown leather chairs on one side are countered by faded blue cloth chairs on the other. This style choice, which seems opposing, is perfectly executed. The living room is further enhanced by these lively throw pillows. 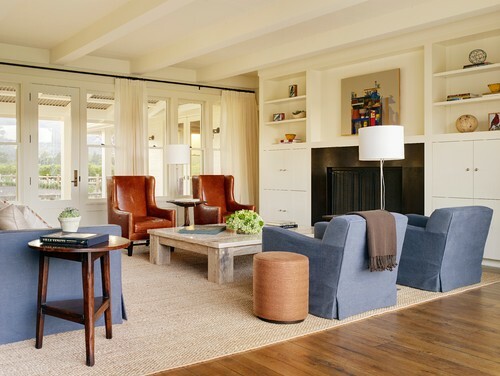 With a wide wall that opens to the outdoors, the living room has an airy and fresh atmosphere. The stylish dining room allows guests and family to gather in a comfortable and well-decorated area. 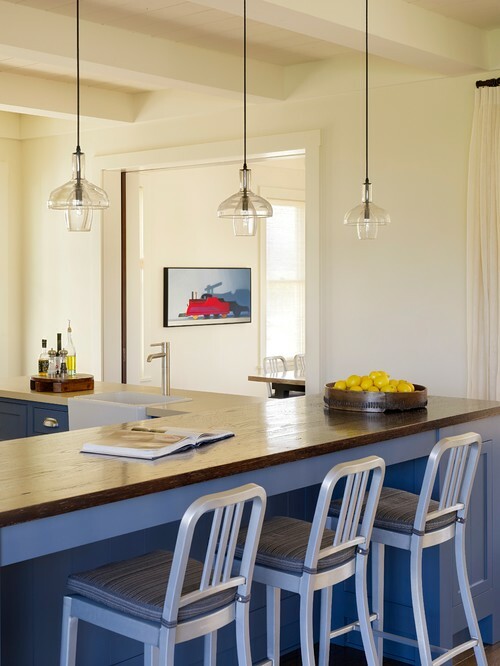 The kitchen is designed to perfection with a picturesque blue base for the bar and compelling glass pendant lights. The bedroom has all the stylish features of a world-class setting. 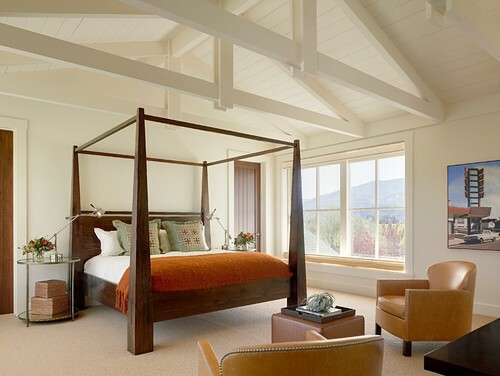 The bed is decorated with contrasting pillows, while the rustic wood bench gives the room a traditional atmosphere. 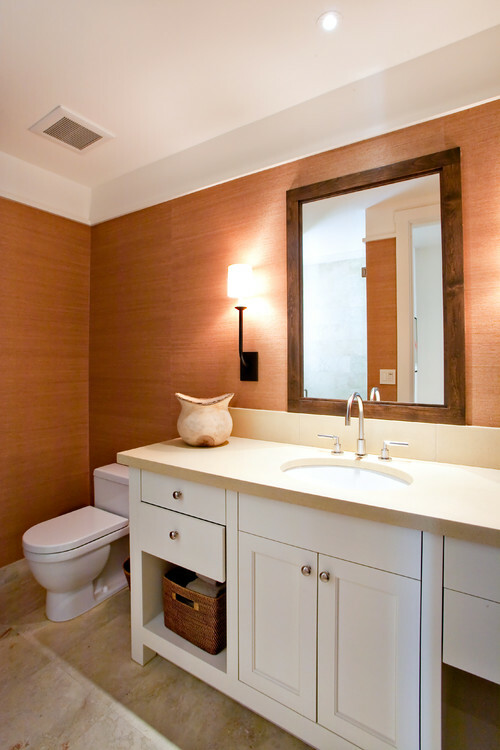 This bathroom has a warm and simple look that delights your eyes. It is simple and minimal but keeps in tune with the home's interior style. Of all the furniture in the home, this bed frame might be the most unforgettable. Back outside, it seems like the best thing to do would be to sit on the porch and relax with a glass of wine. What do you think of this stunning home? Share it with your friends, and tell us what you love about the St. Helena Residence!